Home Universities BHU BHU UET Admit Card 2019 – Download Here! BHU UET Admit Card 2019 – Download Here! 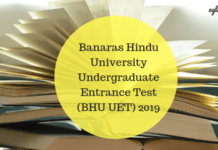 BHU UET Admit Card 2019 – Banaras Hindu University will release the BHU UET 2019 Admit card at its official website which is bhuonline.in. Candidates can download their respective BHU UET 2019 Admit Card one week prior to the examination. Candidates are required to enter their Registration Number on BHU Entrance Test Portal to download the Admit Card. All those candidates who have submitted their BHU UET 2019 Application Form can download their BHU UET 2019 Admit card. BHU UET 2019 is scheduled to take place on May 12, 13, 14, 15 and 16, 2019. 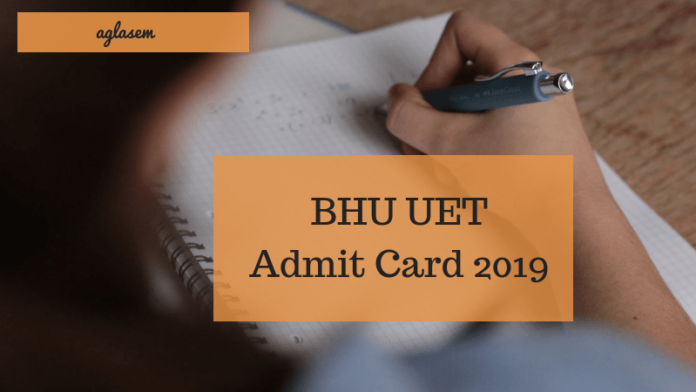 The Admit Card for BHU UET 2019 is a noteworthy document which has to be carried at the time of examination. 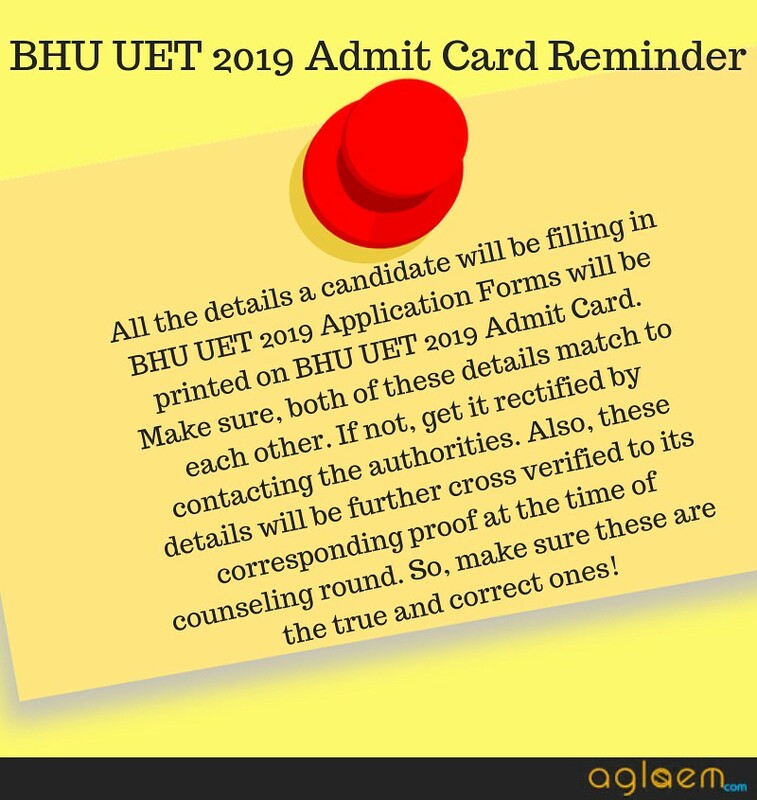 To know more about BHU UET Admit Card 2019, candidates can go through the article given below. Latest: B.F.A. (Theory) and B.A. LLB (Hons.) 5 yrs entrance test dates have been changed. Scroll down to check new dates. 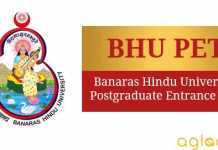 Admit Card: BHU UET 2019 Admit Card will be available at Official website www.bhuonline.in. Candidates can refer to the BHU UET 2019 Exam Schedule given below. To know the exact dates for the written examination as well as for the practical examination. The timings for Shift 1 is going to be from 9.00 AM to 11.00 PM / 11.30 PM (depending on the course). The practical test for BFA, BPA and Physical Fitness Test for B.P.Ed. to be conducted at BHU Varanasi, Campus only. 06 Jun – 08 Jun 2019 Physical Fitness Test for B.P.Ed. What to do at the time of Discrepancy in BHU UET 2019 Admit Card? As and when the BHU UET 2019 Admit Card is made available it is the duty of the candidates to check all the entries made in the admit card. In case of any discrepancy in the admit card, candidates are required to inform the Office of Controller of Examinations immediately. The exam conducting body is not going to be responsible if the discrepancies are not pointed out on time. 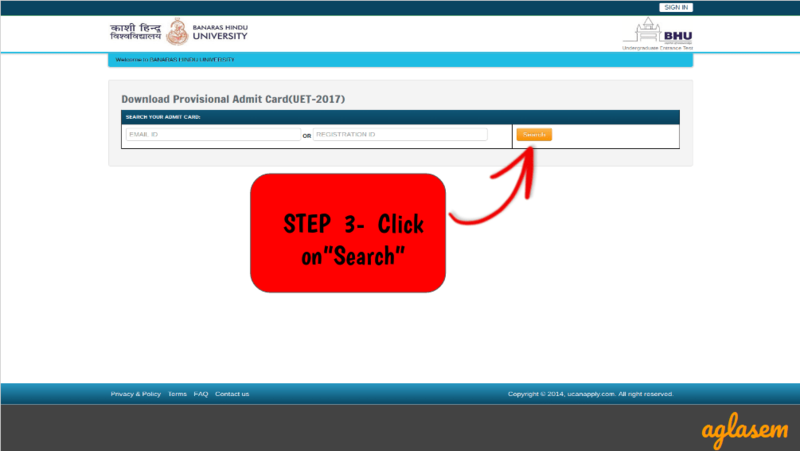 How To Download BHU UET 2019 Admit Card? Start by visiting the direct link provided below the table. You will find a BHU UET 2019 admit card link over the main page. Click that! You will be next asked to log in to your BHU UET 2019 Application portal with the help of the credentials provided, at the time of applying. Either your registration ID or registered email ID will be required to login for this purpose. After entering the credentials, a candidate will be required to hit the “Search” button. 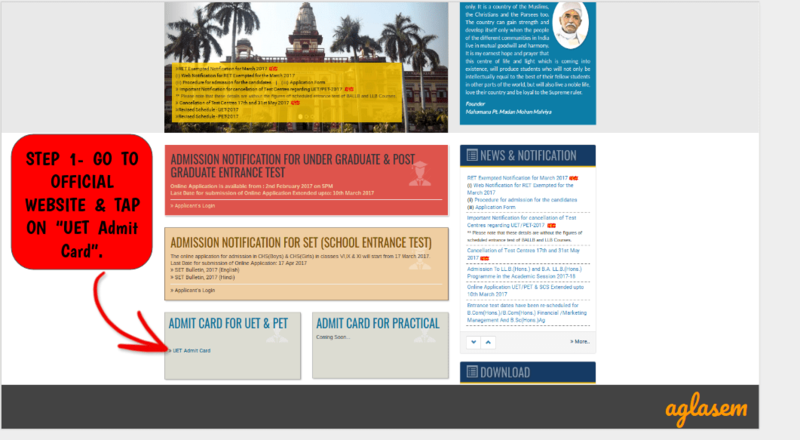 On the next page, your BHU UET 2019 Admit card will be appearing on your screen. If a candidate is unable to download the Admit Card till 03 days before the date of the Test, he/she should contact the Office of the Controller of Examinations, BHU, Varanasi. The candidate should carefully examine the Admit Card for all the details printed for them on the admit card. If any discrepancy is found by the candidate in the hall ticket, then you should immediately inform the Office of the Controller of Examinations. No consideration will be given if discrepancies are not pointed out timely. These are details which a candidate needs to go through. What to do if candidates do not get BHU UET 2019 Admit Card? If candidates are unable to download BHU UET 2019 Admit Card till 03 days before the test, then they can contact the Office of the Controller of Examinations, BHU, Varansi on Help Desk Phone Number and email id. Candidates after downloading the admit card will also be required to attest their recent passport size photograph. It is advisable that you paste an identical photograph as affixed in the online application form. Use the browse tab and navigate the file where you want to save it. Now hit ctrl+p to take a print of the document or simply press the print symbol. Take multiple copies of the admit card in case, one gets lost or is misplaced. Take a print, paste your photograph in the space provided on the printout of the Admit Card and self-attest it. Provide the correct e-mail id and contact numbers as the information about the admit card is going to be intimated by the e-mail and SMS apart from the information on the official website. No candidate shall be allowed to appear in the examination without having the admit card in hand. Preserve the admit card till the end of admission. Affix a passport size photograph on the printout of the admit card under self – attestation. Check every detail in the admit card carefully. The candidates can check their BHU UET 2019 Result from the official website. It is going to be published around the first week or second week of June 2019. It is going to be made available at the Entrance Test Portal which is www.bhuonline.in. A Merit List is also going to be prepared for the candidates who will qualify the examination. Also, it must be noted that Inter – Se Merit Criteria is going to be applied when two or more students are going to have the same marks. Also, the details about the result is going to be intimated over the candidate’s registered e-mail address and on their contact numbers. Banaras Hindu University has made a major change in the mode of examination, as earlier it was used to be conducted in the single mode only. As of this year, there are going to be two modes in which candidates can give the examination i.e. Computer Based Test and Pen – Paper Test. Candidates are required to select their mode of examination while filling BHU UET 2019 Application Form. There are 45 cities for Computer Based Test and there are 115 cities for Pen – Paper Test. BHU UET 2019 is going to be conducted in the two shifts i.e. in the morning and in the afternoon. Candidates must note that there shall be negative marking for the wrong answers. 03 marks are going to be awarded for the correct answers and 01 mark is going to be deducted for every wrong answer. Also, it must be noted that BHU UET is conducted by Banaras Hindu University to offer admission into various Undergraduate Programmes such as BPA, BFA, B.Com, B.A. (Hons. ), B.Com (Hons. ), B.FA, LL.B (Hons.) etc. Admit card is available now. 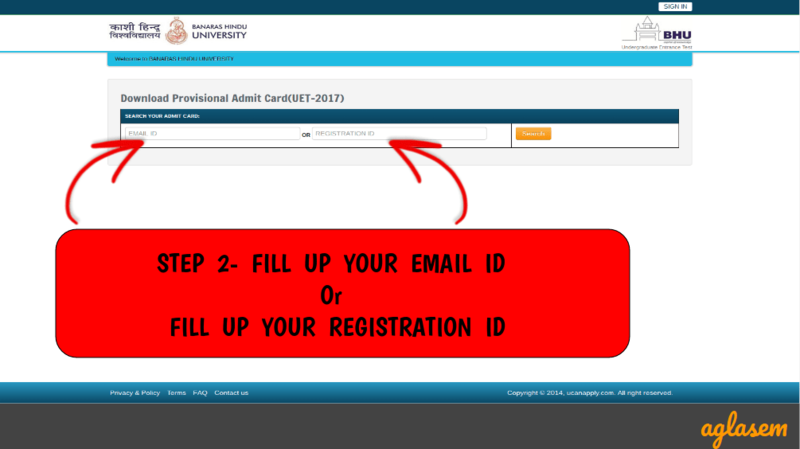 Please scroll up this page to download your admit card. Result kb tk ayega uet ka ?? Result will be released soon.